100% Light wool made in Israel. Wonderful vibrant colors in shades of Blues. 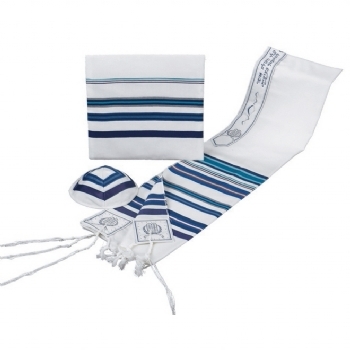 Comes with matching talis bag and kippah.